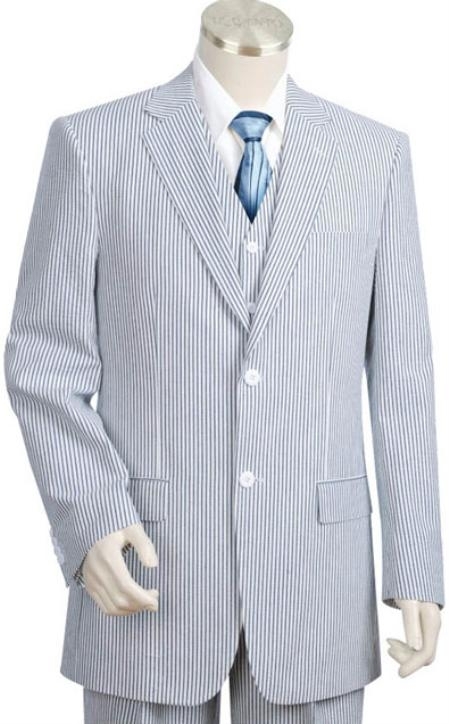 When you are looking out for a highly regarded online store where you can find quality men's seersucker suit, you can think of MensUSA. Starting from pure cotton fabric mens suits to woolen suits, we are one of the leading suppliers of mens apparel and accessories like genuine leather shoes, belts and more. We can call seersucker suits as one of the most wanted suit types that are have good market value through the hot summer season as the fabric is great and apt for sultry weather. You can find many men sporting a seer sucker made attire in many forms like coats, shirts and trousers during the summer season due to its unique texture that allows adequate air circulation between the fabric and the wearer's skin. The special soft and wavy texture of the fabric is responsible for its summer favorite temperament. We can find these seersucker fabrics being used in many mens fabric and they mostly come in a traditional checked or pin stripe fashion. Apart from these traditional patters, we can find men sporting the green and white combo seersucker or the blue and white combo seersucker in most cases. In recent day's fashion, we are able to find a good improvement in the availability of color choices that seersuckers have got because of the dyeing techniques and other technological advancements. 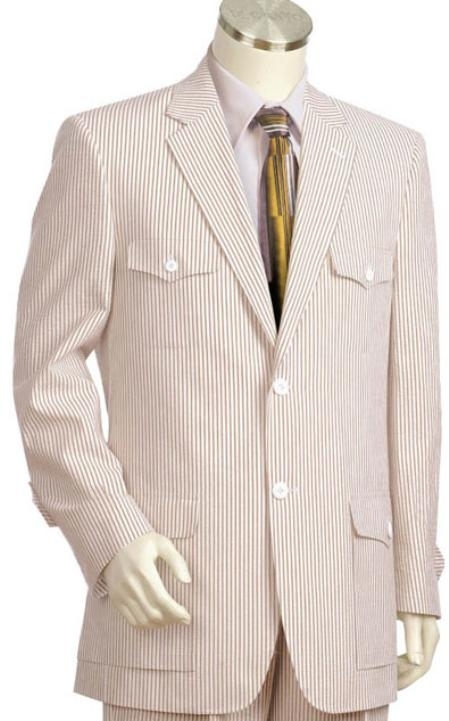 Mens seersucker suits were seen as one of the first choices for poor people when this fabric was first made. This full cotton fabric ensures soft texture and is great for a person's skin during harsh summer season as we had mentioned above. Though seer sucker suits were used by poor men in the beginning, now we are able to see a good linage of fashion designer using them for their latest fashion suits that costs an arm and a leg and it is not the first choice of a poor person at present.